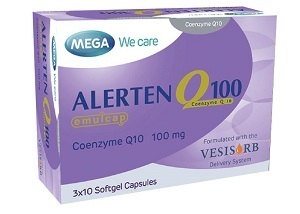 Coenzyme Q10 helps in generation of energy for every cell in the body. Concentration of Coenzyme Q10 – in heart muscles decreases with aging. Alerten Q100 provides energy to heart muscles and other organ tissues. 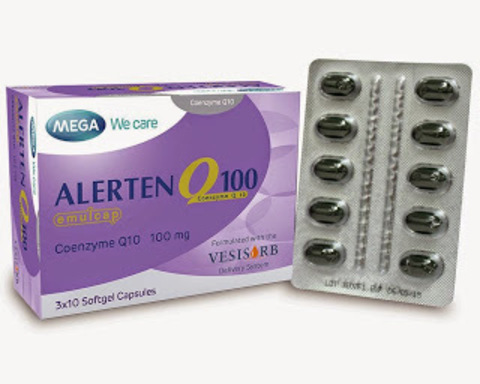 VESISORB® Technology in Alerten100, offers better absorption & bioavailability of Coenzyme Q10, compared to the conventional soft gelatin capsule and other products in tablets and hard capsules. Natural “trans” form of Coenzyme Q10 in Alerten100, is identical to the body’s own Coenzyme Q10, thus ensuring efficacy of the product. For higher compliance for patients, Alerten100 is formulated in small size of capsule thus making it easy to swallow. 1 capsule once daily with meals.